New intelligence assessment says IS can muster between 20,000 and 31,500 fighters across Iraq and Syria. 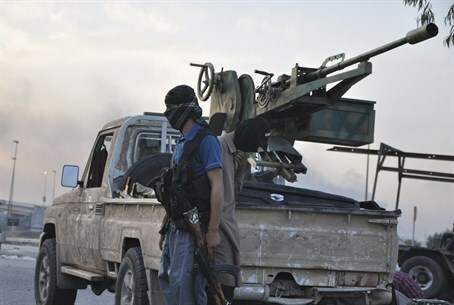 A CIA spokesman said on Thursday that a new intelligence assessment estimates that the Islamic State (IS) group can muster between 20,000 and 31,500 fighters across Iraq and Syria, The Associated Press (AP) reported. That figure is up from a previous estimation of 10,000, noted the report. The new assessment is based on a review of intelligence reports from May to August. It is larger than the 20,000 figure being used by many outside experts. CIA spokesman Ryan Trapani said the new total reflects stronger recruitment by the extremist group since June following battlefield successes and the group's declaration of a caliphate. He added that the revised number also reflects "greater battlefield activity, and additional intelligence." The latest assessment comes a day after U.S. President Barack Obama announced the formation of a broad coalition to fight IS. Obama has already authorized the use of airstrikes to prevent the group’s advance in Iraq and to protect American personnel and interests inside the country. He indicated in his speech that those airstrikes would continue and that there will be not be American troops on the ground. French Foreign Minister Laurent Fabius said on Wednesday, before Obama’s speech, that France was prepared to take part in air strikes on Islamic extremists in Iraq "if necessary".